Ginger is known to be useful as an ingredient for cooking and health recipes, but there are some beauty benefits of using ginger. Take ginger and peel it, then slice it ​​to a thickness of ¼ inch. Clean your face with water, then apply the ginger to your whole face, and then gently massage. Rotate the ginger around the face till the oil comes out of it. Ginger is great for treating oily skin. Some minerals found in ginger actually eliminate oil production especially when mixed with some other ingredients such as sea salt, cinnamon and nutmeg. Take a teaspoon of sea salt, grated ginger, ground cinnamon and nutmeg. Mix it all together and add enough water until it becomes like dough and can be applied. Apply on the face, leave it for 20 minutes, the rinse with cold water until your face is clean. If your skin is looking dull, you can try to brighten your skin by making your own ginger face mask. Ginger can improve circulation in the body. Peel the ginger and then grate it. Then mix the ginger with sesame oil until it becomes like dough. Apply the mixture on the face. Leave it relax for 10 minutes. Then rinse with clean water. One of way of ensuring smooth and bright skin is by removing dead skin cells. Ginger granules will gently remove dead skin cells. Ginger combined with sea salt and orange peel will act as an excellent removal of dead skin cells. Mix two cups of sea salt, two tablespoons of orange peel slices and three drops of ginger juice. Mix well then apply on the whole body with circular massage movements. Rinse with cold water. Do it once a week to ensure smooth, silky and bright skin all over your body. Rough and dull hair can be softened with ginger. The content of essential ginger oil can soften hair successfully. Ginger oil combined with olive oil is an excellent mix for smoothing overall hair. Take two tablespoons of ginger juice and mix with two tablespoons of olive oil. Stir well, then apply on hair and scalp. Leave it stand for 25 minutes and then wash your hair as usual. Do it twice a week. For a long time ginger has been known as a healthy food item that brings health benefits, famous scientist Confucius always include ginger to food he was taking. 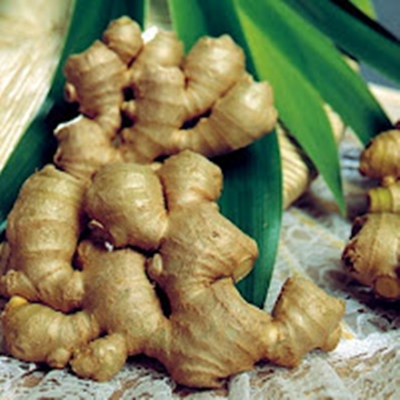 Romans and Greeks made ​​ginger as a main food that should be taken during the long journey across the sea. In India and China, it has long been known for its cuisine and treatment that undoubtedly usefulness. Indonesian people love to make “Wedang Jahe” or warm drink mixed ginger and a little sugar to keep body warm when is cold or to relieve flatulence and colds. Ginger contains Phenol which has known anti-inflammatory effects and nutritious treat joint disease and overcome muscle strain. Ginger also contains zingilberene and Shogol, this compound is known as an anti-oxidant and also effective against cancer and heart disease. 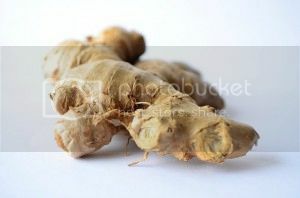 In addition to it which has been mentioned above, there are many more other substances contained in ginger. The substances include minerals sineol, fellandren, resin oil, camphor, zingiberin, borneol, zingiberol, gigerol (most are found mainly in red ginger), aminos acids, zingeron, vitamin A, B1, C, lipidas, protein, niacin and many others. As for the health benefits of ginger include: nutritious reduce hypertension, aid digestion, blood circulation, counteracting free radicals, treat injuries, prevent cancer, migraine cure, prevent irregular menstrual cycle, treat morning sickness, lowering cholesterol and much more.